Walrus (S802) is the first in a series of four Walrus-class submarines operated by the Royal Netherlands Navy. Image courtesy of Aubrey Dale. Zeeleeuw, Dolfijn and Walrus submarines were seen together in action in Den Helder in July 2010. Image courtesy of Netherlands Ministry of Defence. The state-of-the-art stealth technologies allow the Dutch submarines to remain under water for long periods. Image courtesy of Netherlands Ministry of Defence. The Walrus-class submarines are considered as one of the world's most advanced non-nuclear attack submarines, Image courtesy of Netherlands Ministry of Defence. Walrus-class submarines are solely operated by the Royal Netherlands Navy (RNLN). They are considered as one of the most advanced non-nuclear attack submarines in the world. The Walrus-class was put into service for the first time in 1990 with the Dutch Navy. The Walrus-class fleet comprises four ships, which include the S802 Walrus, S803 Zeeleeuw, S808 Dolfijn and S810 Bruinvis. The ships were built indigenously by Rotterdamse Droogdok Mij (RDM), which was a Norwegian shipbuilding and ship repair company operating out of Rotterdam. The Dutch government is set to start a progressive refit programme, known as the Walrus-class sustainment programme, in 2013 to extend the service life of the boats to 2025. The programme will give the boats enhanced intelligence-gathering capabilities and the ability to meet modern ergonomic and technological requirements. L-3 ELAC Nautik was contracted in June 2008 to upgrade the medium-range sonar systems of three of the four Walrus class submarines. Howaldtswerke-Deutsche Werft, a German shipbuilding company, was contracted in June 2009 to supply and integrate the second-generation escape system HABETaS into RNLN’s existing submarines. In August 2010, Analox Military Systems was contracted to provide nine Sub Aspida devices for installation on the submarines. In June 2011, the Dutch Defence Materiel Organisation (DMO) awarded a contract to Kongsberg for supplying passive sonar processing systems (PSPS). "Walrus-class submarines are solely operated by the Royal Netherlands Navy (RNLN)." The Walrus-class project was launched in 1978. The programme called for the construction of four submarines as a replacement to four aging Dolfijn-class submarines. The programme was considered to be complex because of its long time span, heavy but fixed budget, and high political and financial profile. The keel of the first maiden ship was laid in October 1979, with the Walrus programme ending in 1995 after the completion of the guarantee overhaul of the fourth and final vessel. At the 1994 price level, the Dutch government had spent about two billion Dutch guilders to build the ships. The price was inclusive of the costs of handing over the ships to the navy, acquiring training facilities, and providing training to the future submariners. The keel of the first submarine, S802 Walrus, was laid down in 1979 at RDM shipyard in Rotterdam. The ship was launched in October 1985. The completion, however, was delayed by about 12 months due to fire damage in August 1986. Sea trials were conducted in 1990 and 1991. The ship was finally inducted into the Navy in March 1992. The first submarine to enter service with the Navy was S803 Zeeleeuw, which was the second ship in the series. She was laid down in September 1981 and launched in June 1987. The ship was commissioned in 1990. S808 Dolfijn was the third Walrus-class submarine to enter service with the RNLN. Her keel was laid in June 1986. She was launched about four years later in April 1990 and was commissioned in January 1993. The fourth submarine, designated as S810 Bruinvis, was laid down in April 1988. She was launched in April 1992 and handed over to the Dutch Navy in July 1994. Four Thetis class frigates for the Royal Danish Navy have been built by the Svendborg Shipyard with headquarters on the island of Funen in Svendborg, Denmark. The design of Walrus-class submarines was carried out under the guidance of the RNLN’s Department of Materieel (DoM). Naval Industry and Research Institutes were also engaged in the project. The design of the Walrus-class ships is based on the basic hull line of the Zwaardvis-class submarines. She has similar outline and dimensions to that of her predecessor Zwaardvis. The Walrus-class submarine boasts a twin-hull configuration in teardrop shape to achieve increased underwater speed and a smaller acoustic signature. One of the most innovative features of the Walrus-class is the way in which stern diving planes and rudders are configured. Rather than a cross-shaped assembly, they are installed in an X-form after-plane configuration. In order to increase diving depth by about 50% (compared to the Zwaardvis), the new submarines were fabricated using the French MAREI high-tensile steel. The number of regulators and weld joints in the hull were also reduced achieve longer diving depth. The number of crews aboard the ship was reduced by embracing an extensive automation system. Data-handling, sensors, weapons and platform control were all automated. State-of-the-art stealth technologies allow the submarines to remain invisible to ships, aircraft or other submarines. "State-of-the-art stealth technologies allow the submarines to remain invisible to ships, aircraft or other submarine." The four Walrus class ships are incorporated with modern electronics and an integrated sensor, weapon and command system (SEWACO). Control and surveillance of platform and SEWACO systems are concentrated in the central control system (CCS) located towards the centre of the submarines. The attack submarines feature Geautomatiseerd Informatieverwerkend Presentatie Systeem (GIPSY), an integrated information and presentation system developed by Holland Signaal (HSA). All the important subsystems of SEWACO and towed passive long range sonar system are fully integrated into the GIPSY. The submarines are armed with four 21in Honeywell Mk 48 Mod 4 and Mk 48 ADCAP. The ships can carry 40 mines in lieu of torpedoes. They can also be equipped with McDonnell Douglas Sub-Harpoon surface-to-surface missile (SSM). 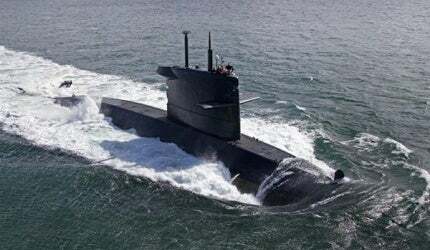 The Dutch government, however, has not purchased any SSMs for the submarines. Walrus-class submarines are fitted with diesel-electric propulsion systems. There are three SEMPT-Pielstick 12-cylinder, four-stroke diesel engines. The lone main motor is an electric motor is manufactured by Holec.